It was one of those slow motion moments as I watched my purloined muffin slowly slide to the side of my newspaper and then start the long, perilous fall to the ground below. It rested there for just a second before it started rolling slowly under my car and then down the carpark away from me. As it accelerated away I could hear two things ... one was Kim's very loud laughter and the second was a small voice in my head saying "This is an omen, you're going to have a bad day." You have to understand, that I had put a lot of effort into stealing that muffin from the mornings breakfast buffet, and to watch it hurtling (yes, by this time it was hurtling) further and further away just screamed bad karma - that muffin was my black cat and it was crossing my path big time. Thus began the morning of my first attempted multisport event since breaking my knee 18 months ago. My stolen muffin was supposed to be my energy food, my pick me up, my recharger, and most importantly it was to be free. I like free, but only when it is in the "that didn't cost me anything, it was free" sense, not in the "my muffin is free and rolling down the car park picking up a million billion germs" sense. I don't like that second usage at all. However, once a muffin has been set free (particularly a muffin which had by this time rolled about 20 metres down a car park and landed in a muddy drain), it should stay free. 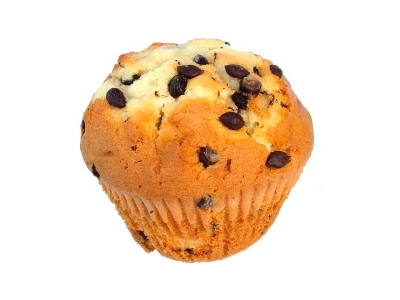 There's no "if it comes back, it was really yours" nonsense, a gone muffin is a gone muffin. Now, you have to understand that when something as portentous as a lost muffin impacts your day, this leads you in a very specific direction ... despite having invested in a rigorous pre-event training schedule (by which I mean we went and rode the mountain bike course the day before and also looked out at the lake and said "Yep, there it is, I guess I will be paddling out there") it's obviously time to start investing in excuses for why things are going to go wrong and I may in fact finish well ... last. "Oh, he was the guy that lost his paddle on the first lap. Didn't you seem him complete the whole first lap with just his hands?" He looks like he's catching up now that he's got a paddle again. What an amazing athlete." (the last bit was to be said with awe and respect reverberating through her voice). "I don't think he's behind, I think he may have accidentally started a third lap". I liked this one - it spoke of quiet over-achievement. I never got to real off the other 17 suggestions which had spontaneously jumped into my head as it turns out that Kim thinks I'm trying to be funny, when in fact I'm being very, very serious, and was laughing so hard that I couldn't get to suggestion number three ... I mean was I the only one who saw that muffin rolling down that car park? Seriously, a lesser man would just have gone home. Yep, that was the start to my day, so I'm sure you can understand why I found myself sitting on Lake Trevallyn, three minutes before the Icebreker race start feeling less than confident ... oh, and facing the wrong direction. Yep, even before the race start the muffin incident had so thrown me that I missed the race brief (despite arriving nearly two hours early), so I didn't actually have much of an idea where we were actually going other than "around the lake" (lucky I'd done that reccy the day before).